If your invoice goes unpaid for more than 45 days, something is wrong! Get on the phone, go visit the client, send an email, DO SOMETHING! But don't let the non-payment issue continue. If there is a problem, address it immediately, and ask the client to provide a firm date when your invoice will be paid. The longer you wait, the harder it is to collect your money. 1. Stop work! If non-payment of invoices exceeds 60 days, stop work and notify your client of this action in accord with the provisions of your contract. Refer to article 9 of AIA Document B101-2007 for guidance. 2. Don't design for free. Limit the amount of concept designs you will prepare under basic services. Stop designing "till you drop." Most projects will sustain two concepts. On selection of the preferred design, develop it and move on to the next phase. Be sure to get a written acceptance and sign-off by the client. To make this work, be sure you understand the specific needs and scope of the project. Good upfront listening is the key in making this requirement work. 3. Get a retainer up front. Hold the retainer throughout the duration of the project and apply it to the last invoice. In many ways this helps guarantee that final payment will not be held hostage for any disagreements, real or unreal. Also consider holding the retainer until you've received final payment, all final paperwork, guarantees, warranties, maintenance manuals, asbuilt drawings, and other traditional deliverables. 4. Review the contract with your client. Do it in person! Pay particular attention to billing procedures and timing. If the client has any specific requirements or format for billing and payment, review and understand them. Review the information with your accounting department as well. Be sure that you and your client understand Article 6 of B101, "Cost of the Work," as it affects your billing and project costs. Don't leave money on the table because you didn't include all project costs. 5. Adjust your billing rates. If the project is of a long duration – more than a year – be sure to allow for adjustment of hourly billing rates. Raises, benefits, and other overhead factors can easily strip away profits if not monitored and adjusted. Understand what your overhead factors are. Many state and federal agencies limit overhead costs, and specific items such as marketing costs are deleted from the calculations. 6. Learn to put your pencil down. Designing, changing, and constant tweeking will guarantee that you will loose money. Once the client has signed off, proceed to completing the documents in a most efficient manner. If any changes are instituted by the client after signoff, or because of other factors such as code revisions, get paid for your work efforts. You might be better off working on your strategic or business plan than taking on a commission or project on the cheap! Fee shoppers will keep dragging your fee down. Do you want to be known as the "cheapie" in town? Better still, do you want to stay in practice? Learn to say no! Be fair, be honest, and get a proper fee for your work; and stay away from the shoppers and fee cutters. 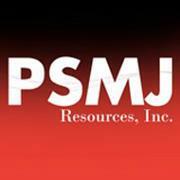 PSMJ Resources recommends the following techniques for controlling construction administration costs resulting from contractor requests. Charge the contractor for copies of electronic drawing files. One of the problems PMs often encounter is when construction contractors request digital (CADD) files to make it easier for them to prepare shop drawings. In most cases, design firms simply provide these files at no cost. However, many firms have been successful in charging contractors for this information, and the success has been with both public and private sector clients. Include a clause in the specifications that you will charge the contractor, at normal billing rates, for time spent evaluating requests for substitutions. These charges will be deducted by the owner from the contractor’s progress payments and paid from those funds to the A/E firm. Add a clause to the specifications limiting the number of shop drawing reviews to one resubmittal per shop drawing package. Time spent by the A/E team on additional resubmittals will also be deducted by the owner from the contractor’s progress payments and paid from those funds to the A/E firm. Build in restrictions on how often you will inspect punchlist items. If team members need to travel numerous times to look at an item, there is a serious problem. 1. Having an unclear scope of work. The cardinal rule of project management is to have a rock solid, crystal clear scope of work. The number of one cause of project problems and misunderstandings is because of poorly written and understood scopes. Solution: In addition to writing a clear scope of work, go over it in detail with both your team (internal and subconsultants) and your client – especially your client! Make sure everyone has the same expectations for service and product. 2. Communicating poorly and irregularly. Projects often run aground when PMs aren't communicating frequently and transparently with the team and the client. Everyone involved needs to know what's going on. Solution: Plan weekly team meetings, and be diligent about keeping to them, each week and on time! Also, provide your client with regular written status reports. 3. Being inflexible. A Project Management Plan (PMP), budget, and schedule feel like law, but they often blind PMs to the whims and realities of personnel issues, clients, funding, and site surprises. Solution: The PMP is a living document, and must be revisited and altered periodically as a project moves forward. Also, a good PM is able to calmly step back from a project to gain a clearer perspective of how it's progressing and what needs attention. 4. Micromanaging. No one works well with a manager standing over their shoulder directing every movement. And a PM should have more important things to do than babysit each person on his team. Solution: Delegate, don't direct. Tell your team members what to do, but not how to do it. And create a culture in your team that encourages individuals to take full responsibility for their tasks. 5. Failing to use an approval and tracking system. PMs are all too familiar with indecisive clients and poorly organized – or lost – documents. Having a solid approval and tracking system in place is one of the best ways to CYA. Solution: Not only should you set up a detailed, organized system for tracking approvals and transmittals, you should make your client aware that you take this tracking seriously. They're more likely to hit their deadlines and stick with decisions if they know they're being closely monitored. 6. Pushing an unrealistic schedule. PMs are eager to please their clients and the firm's principals, but an overly tight schedule is going to create exhausted, frustrated team members, or cause missed deadlines. Solution: First, don't let a client or a firm leader bully you into a project you know is not achievable. Then, include some buffer time – a contingency, of sorts – at the end of each project phase for unexpected glitches.